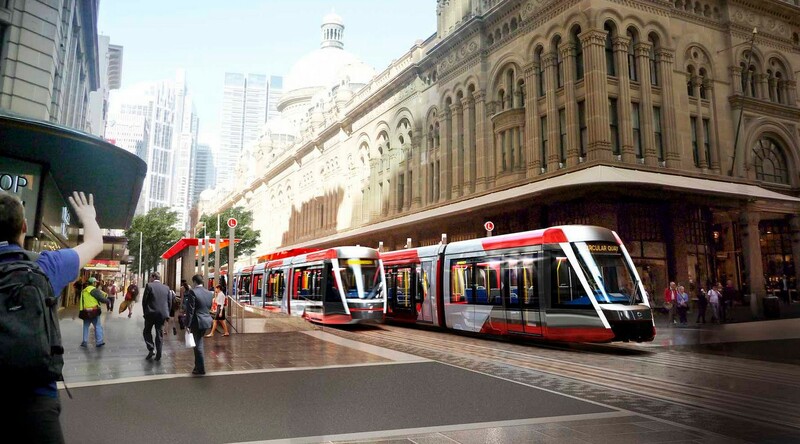 The ALTRAC consortium, of which Alstom is part, announced that the contract for the new Sydney tramway line awarded by the State’s public transport authority, Transport for New South Wales, has come into force. The financing of the $1.5 billion project, awarded on 17 December 2014, has been secured via a public-private partnership (PPP). Commercial service is expected to start in early 2019. For this new 12 km long line, Alstom is responsible for the integrated tramway system which includes the design, delivery and commissioning of 30 coupled Citadis X05 trams, power supply equipment, including APS -ground power supply- over two kilometres, signalling systems, the energy recovery system HESOP, depot equipment and maintenance. As part of the contract, ALTRAC consortium also takes over the operations and full maintenance of the existing Inner West Light Rail (IWLR) system which includes 12 trams and connects Sydney’s inner west with Pyrmont, Darling Harbour and the southern CBD. “Alstom is very committed to Sydney’s transport network and is pleased to bring with Citadis X05 a new passenger experience, high capacity, sustainable, full fluidity and optimum system services. Sydney will benefit from Alstom’s worldwide experience and latest evolution of its tram range”, said Dominique Pouliquen, Senior Vice President of Alstom Transport Asia Pacific. “This project will transform Sydney and provide a step change in the city’s public transport capability and reliability while protecting the aesthetic appeal of the Central Business District”. Citadis X05 integrates new technologies such as permanent magnet motors to reduce energy consumption and easier sub-system integration and maintenance to decrease lifecycle costs. Citadis X05 for Sydney will offer high-end comfort, including double-doors for improved access and passenger flows, large balcony style windows, multi-purpose areas and ambient LED lighting. It also offers the highest levels of customer safety including constant CCTV monitoring, emergency intercoms and the latest way-finding aids for real time passenger information.